As the name would suggest, Degenerative diseases fall into the category of diseases which progressively worsens or deteriorates with time. It may be currently dormant in your body, but certain lifestyle choices or favorable environment can encourage it. If the situation gets much worse, it can affect multiple systems and parts of the body. The most common types of degenerative diseases include heart diseases and diabetes, which are mainly stimulated by poor diet, tobacco chewing, smoking and excessive intake of cholesterol. Therefore, these activities must be avoided as much as possible. Degenerative diseases may affect the spinal cord, bones, brain, heart or literally any system or organ of the body. For instance, degenerative disc disease is an example of a disease that affects the spinal cord and backbone. This disease is characterized by fragile and weak cartilages present in joints and discs. The body’s chemical reaction to a particular chemical reaction or stimuli can possibly be linked to evolution. Humans evolved from an ocean environment, which is basically alkaline in nature. Due to this, the cells of the human body are also alkaline in nature. The cells of most individuals having a degenerative disease are linked to acidity. This condition is known as Chronic Acidosis, and it is a contributing factor in all autoimmune or degenerative diseases. Another factor that may cause degenerative diseases is corrupted DNA, due to the harmful effects of pesticides used in GMO foods, antibiotic inoculations that use other modified bacteria or viruses to kill dangerous viruses, and chemicals in the environment that may disrupt the genetic coding in the DNA that directs each cell to work regularly. This too may be a cause that stimulates the creation of degenerative diseases. Formation of excessive free radicals in the human body is rapidly being considered as a significant reason behind aging and degenerative diseases as well. By definition, free radicals are toxic and unstable molecules with an unpaired electron that attracts an electron from another molecule, which produces harmful effects. Free radicals are formed when molecules of cells react with oxygen. These free radicals then begin to break down cells, especially cell membranes. This happens in just a few seconds, and the damaging work is even more enhanced if not enough anti-oxidants like Vitamin E and C are present. Free radicals are harmful to essential molecules, such as enzymes, proteins, and DNA as well. External factors such as pesticides, alcohol, smoking, industrial pollutants, allergies, infections, certain foods, excessive exercise, and stress can also induce the formation of free radicals. When it comes to degenerative diseases, the expression ‘you are what you eat’ holds more meaning that one would realize. As stated before, the body works best normally under alkaline condition, so keeping the body in alkaline condition is ideal. The average diet nowadays falls more into acidic range and has a tendency of neglecting alkaline diet range. With more acidic diet, the body leeches the alkaline reserves like calcium, manganese, and magnesium from muscles and bones. If these minerals continue to be leeched, diseases like arthritis and osteoporosis tend to occur. It is well known that most vegetables and fruits are alkaline forming in nature whereas refined carbohydrates. Carbonated soft drinks and meats are acid forming. As maintaining the pH level of the body is important for maintaining optimum health and preventing degenerative disease, an individual needs to maintain a more alkaline diet in favor of acidic diet. You must choose foods that have higher concentrations of magnesium and calcium. Magnesium is a mineral which promotes the growth of both. It activates enzymes that release energy and helps in building genetic material and cells. Magnesium is often overlooked in the human diet, but that shouldn’t be the case. Some good sources of magnesium include green leafy vegetables, nuts, bread, whole grain cereals, oysters, and scallops. Calcium also helps in building bones and maintaining healthy teeth. Many of the healthy foods above are also rich in noble metals such as Gold, Iridium, Platinum, Palladium, Ruthenium, and even Titanium. Gold, Titanium, and Ruthenium may have been used or reported to fight arthritis, degenerative arthritis and may help keep the brain tissue in cases of Alzheimers or Dementia. 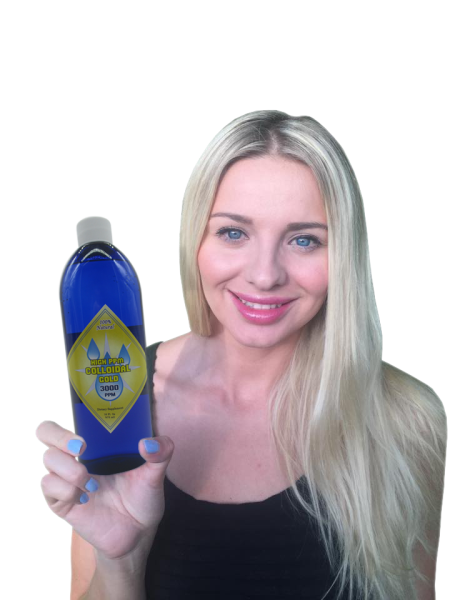 In addition to adding the above-mentioned noble metals, to ensure, that there is no foul play by viruses and bacteria, a High PPM Colloidal Silver regimen is recommended as well. This is a list of Pure Antioxidants that may help perfect the DNA as well as fight off Free Radicals.